Following a steady stream of remixes from the likes of Maceo Plex and DJ Tennis, Maribou State last week released ‘Kingdom (feat. North Downs) (Adesse Versions Remix). 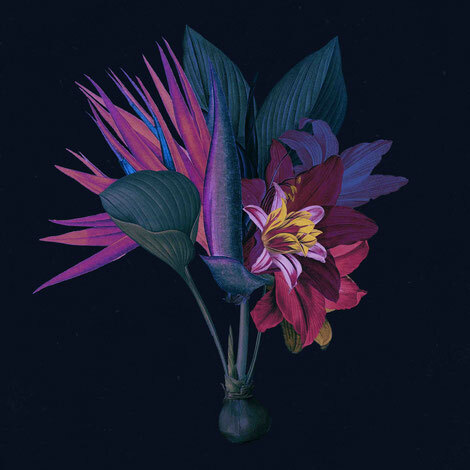 Having previously released on labels such as Numbers, Delusions Of Grandeur and Ostgut Ton (under his own name), he delivers a subtle re-work, drawing out the vocals of long-time Maribou State collaborator Jack Sibley AKA North Downs over a reconstruction of the original’s percussive, hand-clapped rhythms. The release follows the sold-out performance at the Roundhouse, where Jack joined the band to perform the song live on stage against a backdrop of brand new live visuals and an expanded string quartet in addition to the 5-piece band. Their recently announced 5k capacity Brixton Academy show - on 7 March 2019 - has sold-out in a matter of weeks, charting the success of the band since the release of their breakthrough debut album ‘Portraits’ in 2015. ‘Kingdoms In Colour’, released on 7 September, entered the UK album charts at #25. It was 6-Music’s ‘Album Of The Day’ and received support at radio from Annie Mac, Nick Grimshaw, Gilles Peterson, Tom Ravenscroft, Lauren Laverne, Steve Lamacq, Nemone and many more, with the band also performing live on Lauren Laverne’s show. Press support at the time came from the likes of NME, Mixmag, GQ and Crack Magazine. The record also features singles ‘Feel Good’ - a collaboration born of their friendship with Houston-based trio Khruangbin; ‘Turnmills’ - aimed at raising awareness for the The Night Time Industries Association's #SaveNightlife campaign to protect the UK’s most vulnerable music venues from closure; and continues their long standing relationship with Holly Walker (vocalist on ‘Steal’ and ‘Midas’) on ’Nervous Tics’.